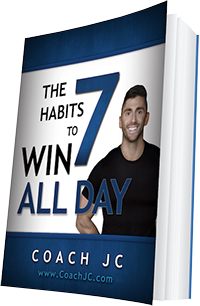 Today’s WINNING recipe to meet Coach JC’s 10 WINNING Habits is from his very own house, Jodi’s Kale and Sausage Soup. 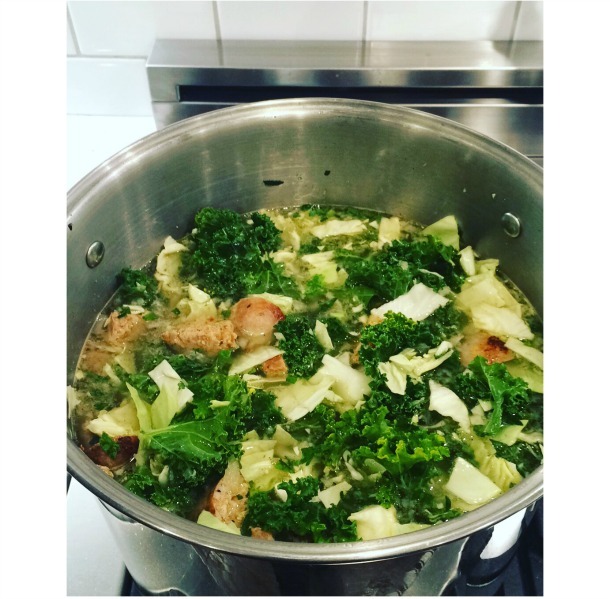 You will find your lean protein in the chicken sausage with added boost of veggie in the kale and cabbage. Bring chicken broth and water to boil. Add bouillon cubes, salt pepper, garlic powder and few shakes of Cayenne pepper to broth. Cover it and let it boil while you cut up remaining ingredients. In a skillet, cook chicken sausages until fully cooked. Chop sausages into small bite size pieces and add along with remaining ingredients to the boiling pot. Boil for 10 – 15 minutes. Cook time will determine firmness of cabbage and kale.